Emlékeztek, amikor a Duna TV-n műsorzárás után egy akváriumot adtak? Nálunk a magyar iroda garnélás akváriumát lehet nézni élőben, meg időnként az üvegen át az embereket, akik elhaladnak mögötte. This afternoon from 17.00 CET József “Angelday” Schaffer of Plastik and Gergely “HH” Szabó of Webisztán are doing a live commentary on WWDC from the Ustream Hungary office in 720p HD. It’s gonna be Resolutionary! Tonight’s real show was started by Xandria. I think they were somewhat surprised of the warm reception, being a support act and all. I for one would have gone to see them solo. 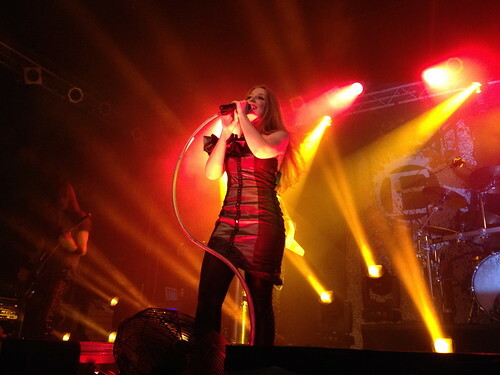 Then, Epica. 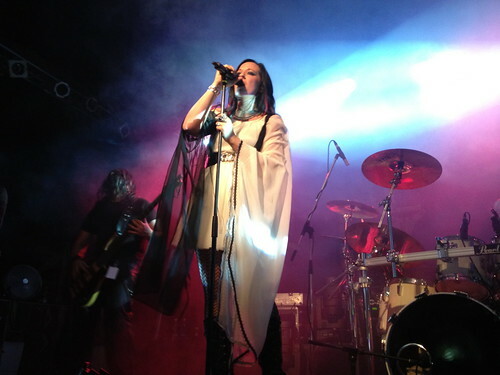 I think they are still holding on to the throne of best symphonic metal act by far. Their musical mastery is only second to their humility. And Simone is breathtaking. Oh, we also got to jump around to the disco-ified The Phantom Agony again. The venue’s roof’s actually a fishpond – lacking fish – hence the new name, Aquarium. But not once did we look up while Marge sang. I know you still remember and I still remember you know. I don’t wanna lie anymore, it wasn’t you. Who would have thought I’ll see these two playing together. The question remains however, that if these latest shows are meant to introduce the second album, then where is it? I couldn’t even find out the title of the song I recorded.